Cartridge yields approximately 300 pages. Quick-drying formula offers performance and productivity, with resistance to smudging and bleeding. 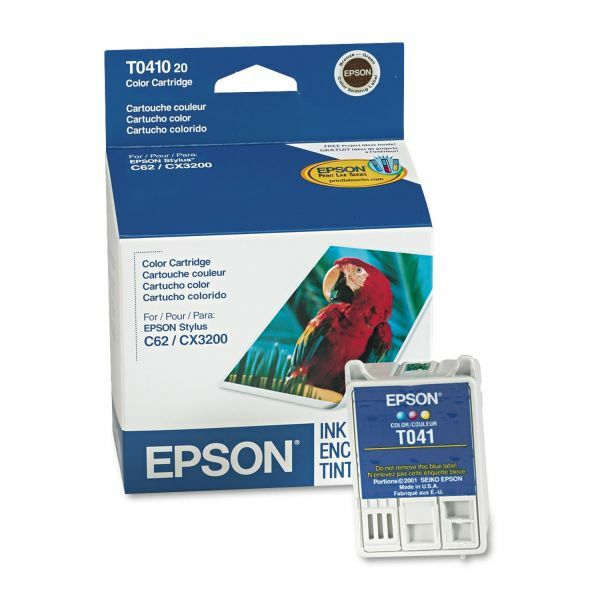 Epson T041020 (41) Ink, Tri-Color - Ink cartridge is designed for use with Epson Stylus CX3200 and C62. Engineered to give you the highest resolution and color saturation possible. Quick-drying, dye-based ink offers optimum performance and productivity with superior resistance to smudging and bleeding.